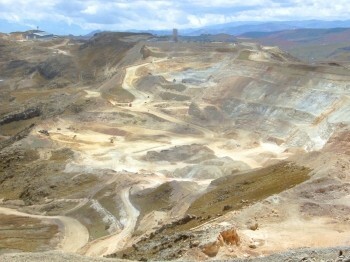 Norman Loayza's research examines the impact of mining activity on socioeconomic outcomes in local communities in Peru. In the last two decades, the value of Peruvian mining exports has grown by fifteen times; and since a decade ago, one-half of fiscal revenues from mining have been devolved to local governments in producing regions. Has this boom benefited people in local communities? We find evidence that producing districts have larger consumption per capita and lower poverty rates than otherwise similar districts. However, these positive impacts decrease drastically with administrative and geographic distance from mining centers. Moreover, consumption inequality within producing districts is higher than in comparable nonproducing districts. This dual effect of mining is partially accounted for by the better educated immigrants required and attracted by mining activity. The inequalizing impact of mining, both across and within districts, may explain the social discontent with mining in Peru, despite its enormous revenues. Norman Loayza is a Lead Economist in the Development Economics Research at the Group at the World Bank. Recently, he was director of the World Development Report 2014, Risk and Opportunity: Managing Risk for Development. His research has dealt with various areas of economic and social development, including macroeconomic management, economic growth, microeconomic flexibility, private and public saving, financial depth and stability, natural disasters, and crime and violence. On external service from the World Bank, he was a Senior Economist at the Central Bank of Chile (1999-2000), where he advised on financial and monetary policy. Norman has edited 9 books and published about 40 papers in professional journals and edited volumes. A Peruvian national, he holds a Ph.D. in economics from Harvard University (1994).